10 High quality backlinks from 10 High Authority Private Blog Networks sites. I will post unique version of an article that is relevant to your niche to each PBN site. All the PBN sites have DA/PA 20+ and are do follow. 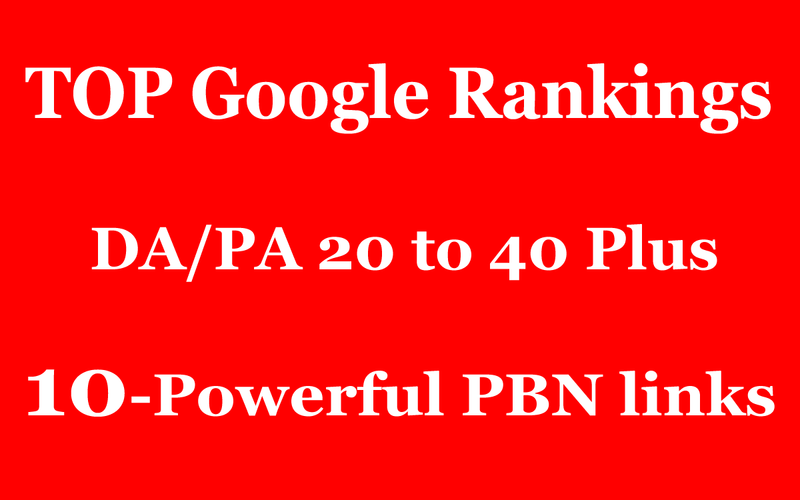 10 Powerful PBN Backlinks - TOP Google Rankings - DA/PA 20 to 40 Plus is ranked 5 out of 5. Based on 4 user reviews.